The new spoiler which has been optimised in the wind tunnel turns the C3 Pro into a real sport helmet which also demonstrates outstanding aerodynamic properties at high speeds in excess of 160 km/h. 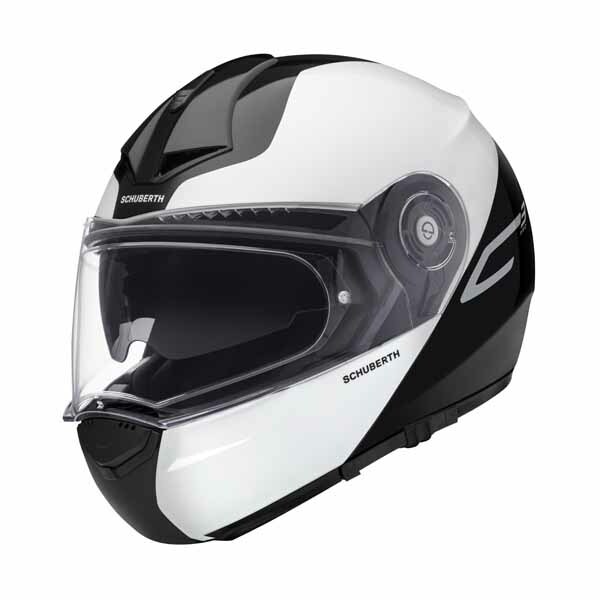 With its further enhanced aeroacoustics of 82 dB(A) at 100 km/h the C3 Pro is one of the quietest helmets in the world. Naturally the new C3 Pro also incorporates two integrated antennas for increased ranges and better FM radio reception – prepared for the fully integrated communication unit SRC-System™. The suspension, made of carefully selected materials such as COOLMAX®, Interpower® and Thermocool®, sets new benchmarks with respect to comfort.